GD Design Studio is absolutely amazing to work with. Top notch professionalism, dedication and patience. No matter how many different directions I went they always went with me. Absolutely love the work they have done for me! Highly recommend GD Design Studio! Thank you for your hard work! It is always a pleasure working with GD Design Studio. Gina designed our website and helps manage it as well. Each update that I send to her always has a quick turnaround, keeping our site updated at all times. I couldn't be happier with our choice of company for our Website. Gina developed my website from the ground up and it was a great experience. She walked me through the whole process and never rushed me once, she also made me feel like her no. 1 customer. I was extremely satisfied with the results and recommend her 110% percent. Thank you Gina for the great experience. 5 star service from a very professional team. Gina and her staff made the process easy for those of us running a business and not familiar with website development. Thanks Gina, great job! I have nothing but the most positive things to say about GDDesign.They are professional in every aspect of service and have gone out of their way to reach deadlines and make necessary adjustments when needed.I have worked with many website and design companies before and GD is by far the most competent. I've worked with Gina on several projects and absolutely love working with her. Her company is very professional and takes the time to listen to your needs and wants. I highly recommend GD Design Studio! My father was a marketing executive with TV Guide for decades and said the website GD Design Studio built for my company is informative and very well done. That says it all! Thank you! 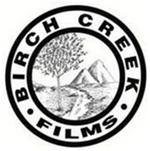 GD Design Studio provided Birch Creek Films with several ad campaigns geared towards reaching our target market. Each design, idea and advertisement was completed quickly, efficiently and with quality precision while always meeting required deadlines and specifications. We will continue to utilize these services now and into the future. We highly recommend GD Design Studio! Quickly grasped all that we were trying to accomplish. Offered several great ideas to further enhance our website. Promised a fast completion date (which was met). Pleasant to speak with and conveyed their thoughts without overwhelming me with technical jargon. She was so pleasant to speak with and conveyed her thoughts without overwhelming me with technical jargon. The site looks ultra modern with just a touch of flash—but not too much to hinder page load time. Most importantly, our visitor to lead ratio has increased from 6% to 9%. What does this mean for OmniTrace? We are receiving over 40 additional requests per day for our investigative services! Of course, making significant changes to our website, which has been our primary source of acquiring new business, caused me much anxiety—to say the least! Gina was quick to assure that all changes made would be tried and tested on a GD Design server until I was satisfied with the new look and functionality. We have a new logo design, which has received many compliments. I wholeheartedly recommend Gina and GD Design Studio to anyone contemplating a new website, website upgrade or new logo design. If you have any questions, please do not hesitate to contact me. I don't have the words to tell you and your team how beautiful the webpage came. You read my mind exactly...Thank you so so much! 5 Star Job! Our firm has utilized GD Design Studio for various projects ranging from Web Page Design to Power Point Presentations and has been very pleased with their results. The team provides hands on service and is always responsive to our requests. If you're looking for high quality results and a friendly attitude, I would certainly recommend them. I wanted to thank you on behalf of the Message from Marli Foundation, Inc. for creating such a magnificent website for our organization. We have received so many compliments from everyone who has gone to it. You were able to jointly create with us exactly what was required. Our mission as an organization is to bring ovarian cancer awareness to women and empower them to become advocates for their own health. This website will generate significant funds for our organization that will help save lives! The Message From Marli Foundation, Inc.
GD Design Studio is great to work with. They listen to us, are consistent, and reliable! I have retained GD Design Studio on multiple projects with multiple companies. I have recommended them to others. They provide exceptional work, on time, and with a great talent for the look and feel aspect of design work as well as the design itself. I can always count on GD Design Studio to take care of my clients when they are looking for quality graphic design work. GD Design Studio is my "go-to" partner for such work. It is certainly a luxury to have a resource that you KNOW you can count on. GD Design Studio is the epitome of class, style, knowledge and out-of-the-box marketing ideas. Our company is truly blessed to work with their team and to see their imaginative skills. GDDS possesses extraordinary communication abilities and their attention to detail is unrivaled, their creativity is exceptional. GD Design Studio is always willing to work with us on changes and edits. Excellent service. Gina and her team were very helpful and professional. Their responses were timely and appreciated. They delivered a beautiful website and terrific concepts. I highly recommend their services.